Eric Staal is moving on once more. The 31-year-old centre signed a three-year contract with the Minnesota Wild. 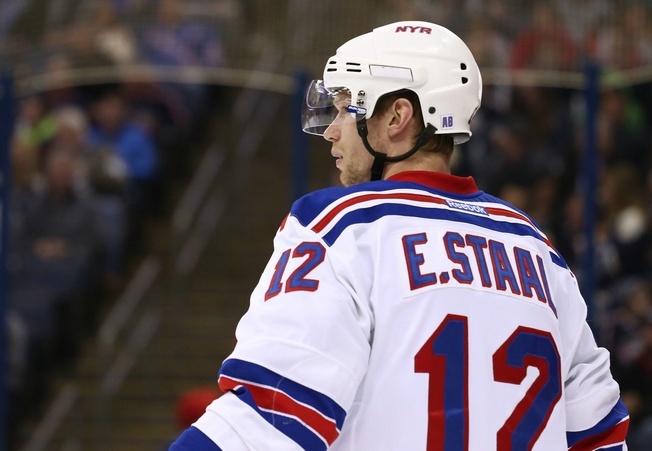 Staal is coming off a stint with the New York Rangers, where he struggled to find the net. He managed just six points in 20 games and went pointless in the post-season, floating to a minus-7 in five playoff games. The disappointment for Staal has to be obvious, as he’s seen steady decline over the past few seasons. He seems a long way off from his 100-point season in 2005-2006, when he put up 45 goals. He also reached 40 goals in 2008-2009 and came close in 2007-2008, but the past few seasons have seen him barely top 50 points. The decline for Staal started shortly after the 2012-2013 lockout, when he moved from a point-per-game player to a less formidable offensive talent. And since then, he’s struggled to find his game. Staal won a Stanley Cup with Carolina and had seven consecutive seasons with at least 70 points, with at least nine seasons in which he managed 21 or more goals. But he’s shooting the puck less, with just 199 shots on goal in 2015-2016, and his shooting percentage has taken a dip as well. As such, Staal is half the player he used to be. Still, this could be a good thing for Minnesota. He could disappear on the Wild and play a support role, which would enable him to bring his talents to another set of circumstances. He won’t slot in at the top centre on the roster, but playing behind Mikko Koivu and even possibly Erik Haula in the rotation could do him some much-needed favours.